SustainableWork: Congratulations Milwaukee Region Food and Beverage Industry Network launch! 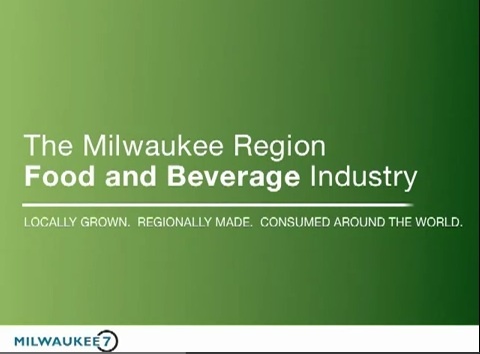 Congratulations Milwaukee Region Food and Beverage Industry Network launch! The Milwaukee region is a global food capital with many of the best opportunities in the world for growing food companies and brands. I shared a great evening last week in Milwaukee with old and new friends at the launch of the new Milwaukee 7 Food and Beverage Industry Network. What a wonderful roll-out of a great new effort for the Milwaukee region and Wisconsin! Thanks to my friend, Shelley Jurewicz, Executive Director of FaB Milwaukee, and Advisory Council Co-Chairs Eric Olesen (Co-Owner/President, O&H Danish Bakery), Giacomo Fallucca, (President/CEO, Palermo's Pizza), and Cathy Henry, (President/COO, Sysco Food Services). "LOCALLY GROWN. REGIONALLY MADE. CONSUMED AROUND THE WORLD." "We are the growers, makers, bakers, brewers, bottlers, innovators, educators, owners, scientists, farmers, distributors, grocers and restaurateurs that bring us, and the world, our food and drink. Are you hungry for more?" 12 global food companies have their world headquarters here. 7 of the 11 world's largest food manufacturers are here. #1 - Highest concentration of workers in the food industry. #3 - Third highest concentration of food scientists in the U.S.
243 Food Manufacturers call this home. 14,170 food and beverage manufacturing employees. $582 million in food and beverage payroll. #1 region in U.S. for water supply. Milwaukee designated by United Nations as a world center for freshwater expertise. #1 Best metro location from natural disasters. Nation's leader in urban agriculture. #9 in agricultural products shipped. The Milwaukee M7 / FaB core strategies call for our region to lead in sustainable food industry innovations including Innovation Kitchens. Great opportunities and partnerships are emerging in one of the most exciting cities and regions in the world, Milwaukee, Wisconsin. Congratulations Milwaukee area Food and Beverage Industry Network! Forward! FaB Milwaukee Congratulations on an inspiring launch! FaB Milwaukee Core Strategies /Targeted Outcomes / Targeted Actions. PDF format.